Every junior resource speculator, whether consciously or not, balances risk and reward. The potential for lucrative gains lures investors into this small and notoriously volatile corner of the investment world – the promise of 10-baggers and more. But risk is the admission price for entry. And it comes at a cost, even if the stock is cheap. Unfortunately, the drill plays that offer the greatest upside potential also carry the most risk. Take too many foolish or reckless risks along the way and you won’t have money left to invest. And today’s high flyer can quickly turn into tomorrow’s pooch. That makes capital preservation a key consideration for junior resource speculators – even though the emphasis is usually on the reward side of the equation. Describing it as the lottery ticket approach to investing is not much of an exaggeration. Enter project generators, which can allow investors to manage risk while keeping upside exposure in a sector with often binary outcomes. Project generators build value by optioning out properties – and risk – to exploration companies, typically in exchange for cash and shares. The downside is protected by cash, land and proprietary databases, while the shares of optionee companies offer upside. The business method also allows the company to dodge share dilution – a fatal bullet for many juniors. The business model has been successfully demonstrated by Strategic Metals (SMD-V) in the Yukon. Strategic refocused to adopt the generative model in December 2005, starting out with working capital (cash + shares) of 7 cents and the stock at 21 cents. As of Feb. 14, SMD had working capital of 36 cents per share (now 37 cents) and a share price of 48 cents (now 45 cents). There have also been distributions/spinouts of 24 cents a share along the way, including Silver Range Resources (SNG-V) and most recently, Trifecta Gold (TG-V). That works out to a compound annual growth rate of 7.6% for the stock, assuming dividends are reinvested. The growth in working capital per share – from 7 cents to 36 cents – has been even more impressive. Strategic has a volatile 10-year stock chart, but the spikes offer shareholders higher exit points. 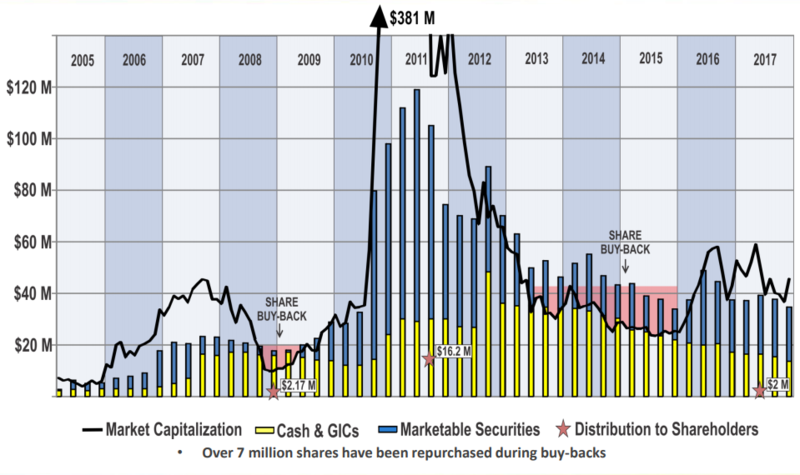 During the severe dips, Strategic buys back its own shares. Want explosive upside potential? Strategic has been no slouch, as demonstrated by 2010 and 2011 share price action. 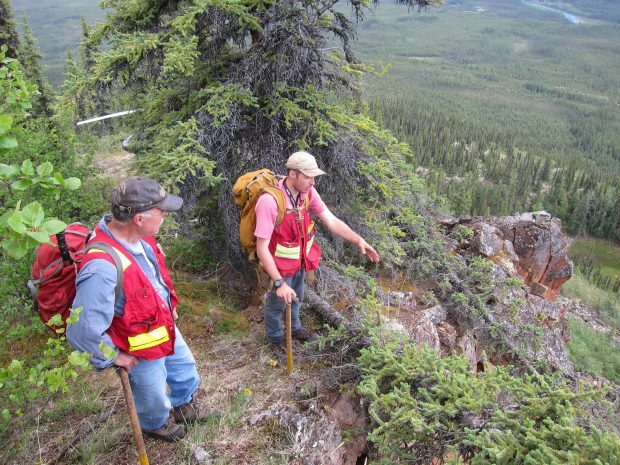 High-grade gold discoveries at ATAC’s Rackla property – along with gold’s run to US$1,900 an ounce – lifted Strategic shares above $3 for several months in 2011 (ATAC shares hit $9 that year). Strategic CEO Doug Eaton checks out samples at Trifecta’s Triple Crown property. The company’s main edge is the vast geological database of storied Yukon consultancy Archer Cathro, run by Strategic CEO Eaton and his team of geologists and project managers. Strategic’s brain trust has been involved in many of Yukon’s top discoveries and deposits, including Western Copper and Gold’s Casino, Rockhaven’s Klaza and ATAC’s Osiris and Tiger projects. Eaton’s knowledge of the Yukon is encyclopedic and his decades operating in the Northern territory help him snap up neglected and forgotten claims. Hopper, a large porphyry-style target where Strategic assayed 0.52% copper over 45.7 metres in a trench. Geochemical surveys outlined strong copper, gold and moly soil anomalies covering a 3,600-metre by 2,500-metre area. Similar age as Western’s Casino deposit 190 km to the north-northwest. 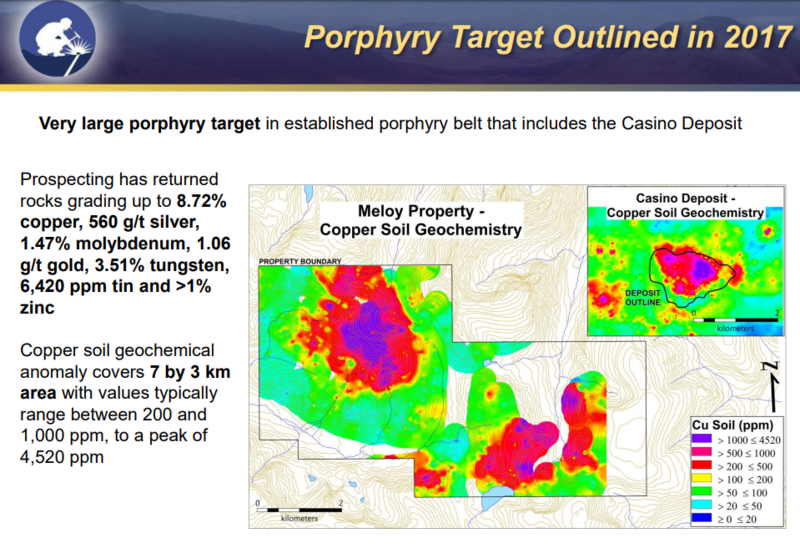 Meloy, another large porphyry target in the belt that includes Casino. Chip samples graded up to 8.7% copper, 560 g/t silver, 1.06 g/t gold, 1.47% moly and 3.51% tungsten. Strategic owns a 39.7% stake in Rockhaven Resources (RK-V) and has a 7.3% stake in ATAC Resources (ATC-V), among other shareholdings. After a busy drill season, Rockhaven is prepping a resource update and looking at processing changes at Klaza, the Yukon’s highest-grade gold deposit of more than 1 million ounces. Last year Coeur Mining bought a 9.9% stake. 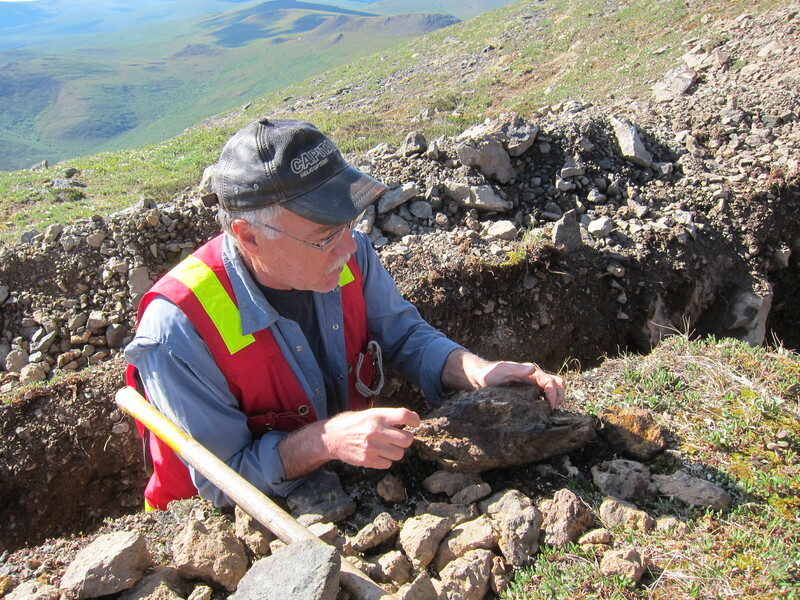 ATAC is advancing its Carlin-type gold deposits at the Rackla property and last year attracted a $63.3-million investment from Barrick, which is earning a 70% interest in the Orion project. There are also significant stakes in exploreco Precipitate Gold (PRG-V) and project generator Silver Range Resources, among many others. The latest Strategic spinout was Trifecta, which is exploring properties in Yukon’s White Gold country and B.C.’s Golden Triangle. Trifecta shares flew out of the gate after listing at 10 cents, briefly trading above 30 cents. But the stock has since settled back down to the 10-cent level after disappointing drill results at the Squid claims at its Trident property. Speaking about Squid, Trifecta CEO Dylan Wallinger had pledged to “prove it or kill it” – the company has subsequently dropped those claims, optioned from Metals Creek Resources. In addition to developments at portfolio companies Rockhaven and ATAC, there are new potential catalysts in 2018. One of the more interesting new positions will be a 19.9% stake in Territory Metals, a private company expected to IPO on the TSX Venture later this year. Territory purchased six high-grade gold and silver prospects from Strategic, which retains a 2% royalty on all the properties – and a 10% NSR on any small-scale high-grade production. The six properties, in central Yukon’s Tombstone belt, are Mt. Hinton, Plata, Lance/Lois, News, Naws and Nels. At least a couple of them could provide fireworks. Placer miners have been pulling out multi-ounce rounded gold nuggets – believed to be near source – from Granite Creek, which drains the Mt. Hinton property. Mt. Hinton is located near Alexco’s ground in the Keno Hill district. Plata, subject to Strategic’s high-grade NSR, also offers intriguing potential. The ore mined at Plata, which is atop a mountain, was very rich. In the 1980s, miners hand-mined and transported it down by helicopter to an air strip at the bottom of the mountain. The ore was then flown to Ross River and trucked all the way down to smelter at Trail, B.C., 2,600 kilometres away. Helicopters, airplanes and truck transport – yet the mining was still profitable. Strategic has also made a foray into Canadian diamond exploration through a $1-million financing that gave Strategic a 45% stake in diamond exploreco GGL Resources (GGL-V). GGL has property holdings in the Lac de Gras diamond field in the Northwest Territories and a diamond database with more than $30 million worth of exploration data. In November GGL brought in David Kelsch as president and chief operating officer. 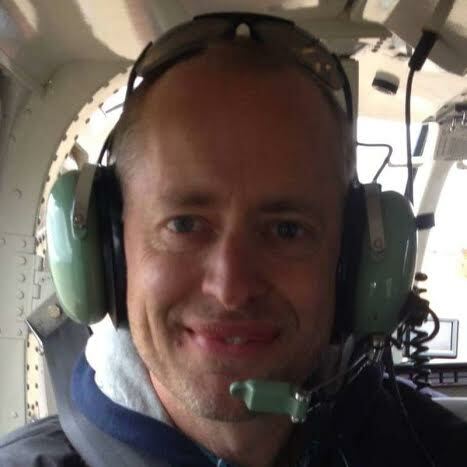 Kelsch is a Canadian diamond exploration veteran who worked for Rio Tinto and was involved in the discovery of the Diavik diamond mine. Diamonds have been generating some buzz of late. Dominion Diamond Corp., owner of Ekati and 40% owner of Rio’s Diavik mine, was recently bought for US$1.2 billion and taken private by the Washington Group. Mountain Province Diamonds, meanwhile, purchased Kennady Diamonds – a former spinco – and its Kelvin and Faraday diamond projects in the Northwest Territories for $176 million. GGL Resources has two royalties on Kennady claims, on trend with the Gahcho Kue diamond mine and Kennady’s Kelvin-Faraday corridor. Disclosure: Strategic Metals is one of three company sponsors of Resource Opportunities and Resource Opportunities editor James Kwantes owns SMD shares, which makes me biased. Readers are advised that the material contained herein is solely for information purposes. Readers are encouraged to always conduct their own research and due diligence, and/or obtain professional advice. Dollar and $ refer to Canadian dollars, unless stated otherwise. Receive the latest information from the Resource Opportunities team with commentary on the resource markets, companies and happenings in our sector.